I have long used music in the classroom when the subject warrants it. For example, in American Literature we discuss traditional western ballads and spirituals. Both inform the subjects and structure of modern American literature. For actual western ballads—anonymous songs from Britain and western Europe– think “Barbara Allen,” “The Trees They Do Grow High,” “Death of Queen Jane.” Many modern songs are written on those models, songs of protest— Phil Och’s “There But for Fortune,” Pete Seeger’s “Waist Deep in the Big Muddy” ; songs of commemoration—Woody Guthrie’s “Roll on Columbia”; songs of lamentation—Guthrie’s “Plane Wreck at Los Gatos Canyon”; songs of conflict and family— Springsteen’s “Highway Patrolman.” These are a few I’ve used recently. There are hundreds more. Spirituals, what W E B Dubois called “sorrow songs,” are songs of African slaves brought to America. These are uniquely American and originate an entire thread of American music, moving from gospel to ragtime to R & B to blues to rock and roll to soul to rap to hip hop. Some pure original spirituals include “Wading in the Water,” “Swing Low Sweet Chariot,” “Follow the Drinking Gourd,” and “Sometimes I Feel Like a Motherless Child.” Modern gospel music is that of northern black churches after the civil war, and some examples of those I use are “Shall We Gather at the River,” “What a Friend We Have in Jesus,” and “How Great Thou Art.” Hundreds more are possible. I end the spiritual/gospel segment listening to Tupac’s “Ballad of a Dead Soulja.” The students love it. “Amazing Grace” is neither a spiritual nor a gospel song, but students know it and it fits in with the subject of slavery and some of the works we read. Check out the story of who wrote that song and why. Another category of songs is those about war. I use a number of civil war songs, including “Bonnie Blue Flag,” “Dixie,” “Northern Dixie,” “Lorena,” “Somebody’s Darling,” and “Vacant Chair.” Many could be applied to the tragedy of any war. And, of course, each of the wars this country has fought has produced its own songs. In other courses, if music is mentioned you can bet we’ll hear it. In Composition I songs are sometimes referenced in essays. 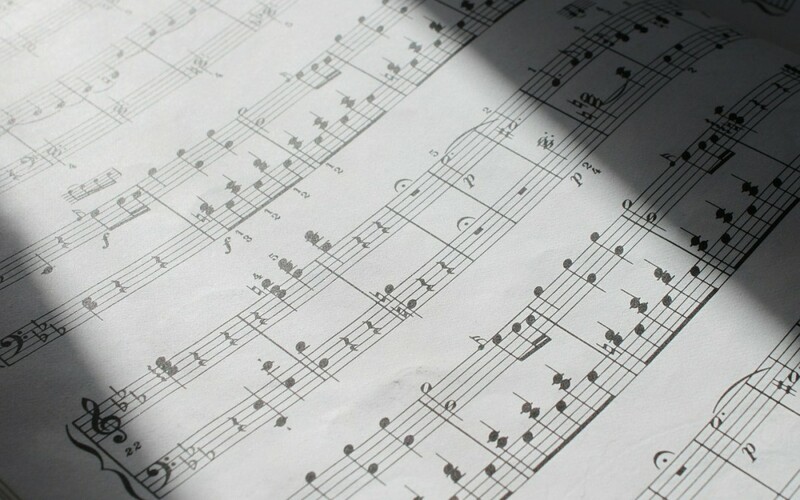 In Composition II, music is often mentioned in the stories (Baldwin’s “Sonny’s Blues” refers to several spiritual and jazz tunes). Elizabeth Tallent’s “No One’s a Mystery” IS the title of a Rosanne Cash song. I used to carry a boom box with CDs and tapes to class. Now YouTube provides plenty of easily accessible choices in our wired classrooms. Music changes the pace and the mood of the class. It opens up new discussions as students hear songs for the first time, listen to those that sound vaguely familiar, or clearly remember their mother or grandmother singing one. I find it great fun.